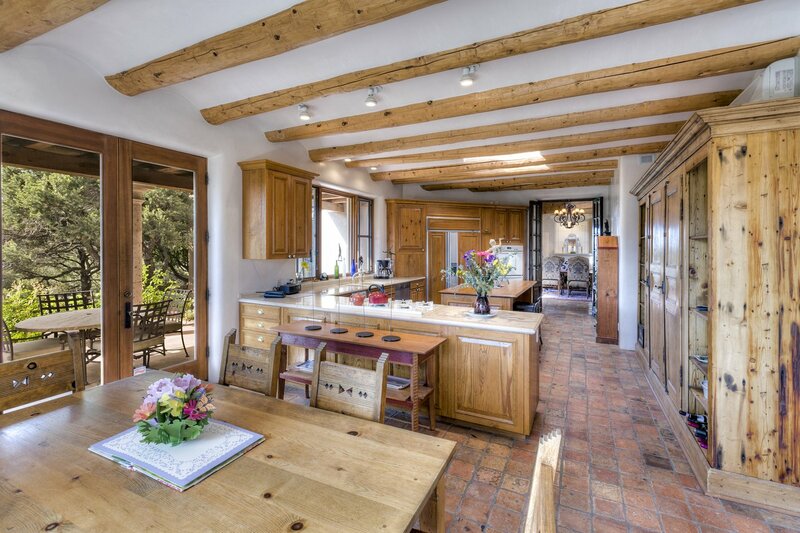 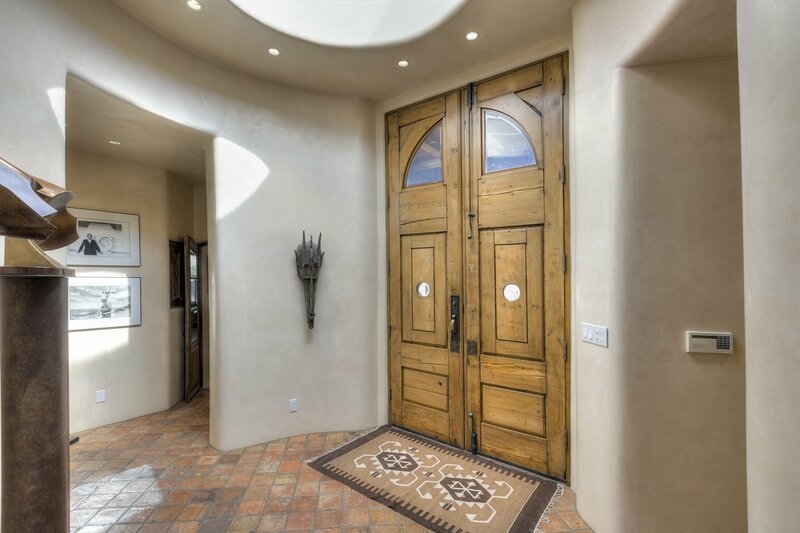 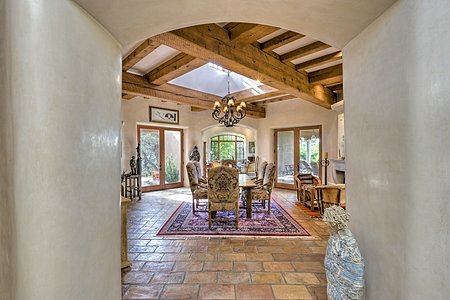 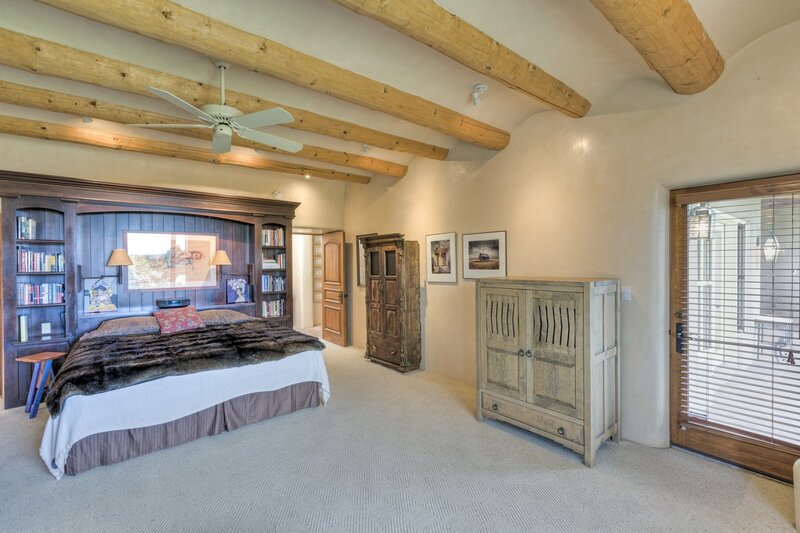 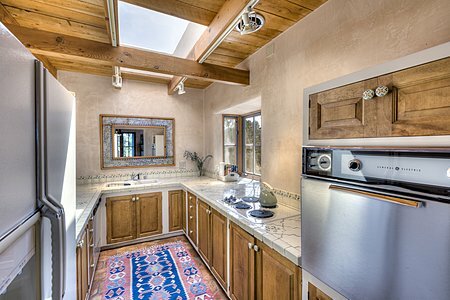 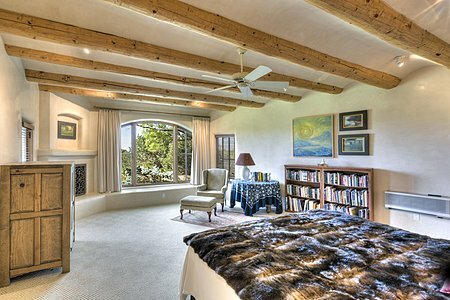 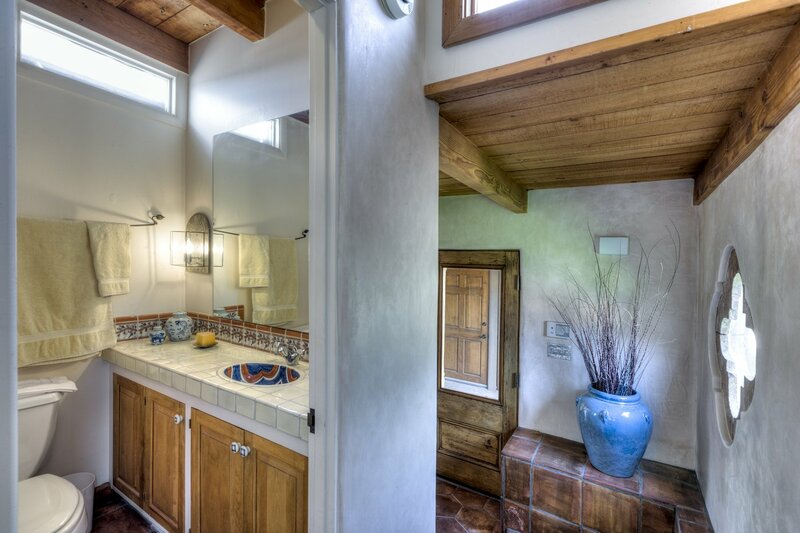 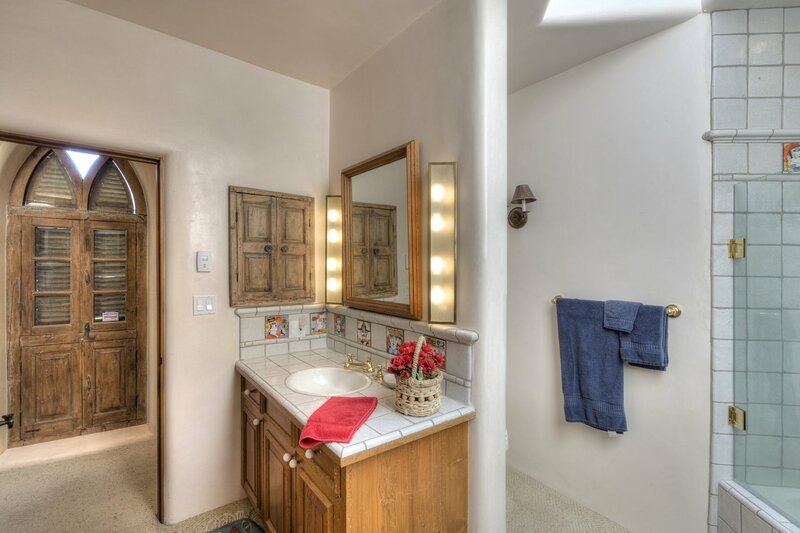 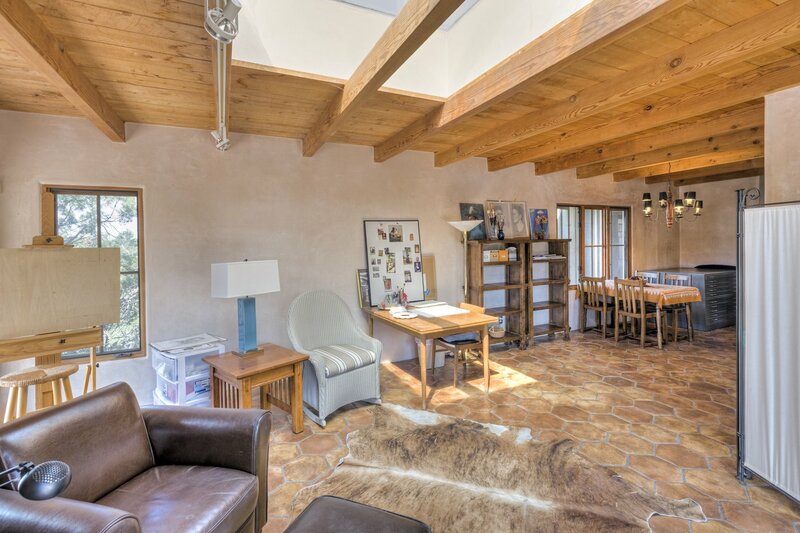 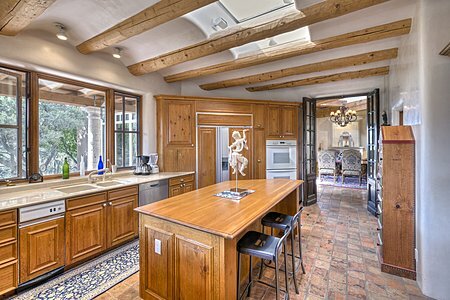 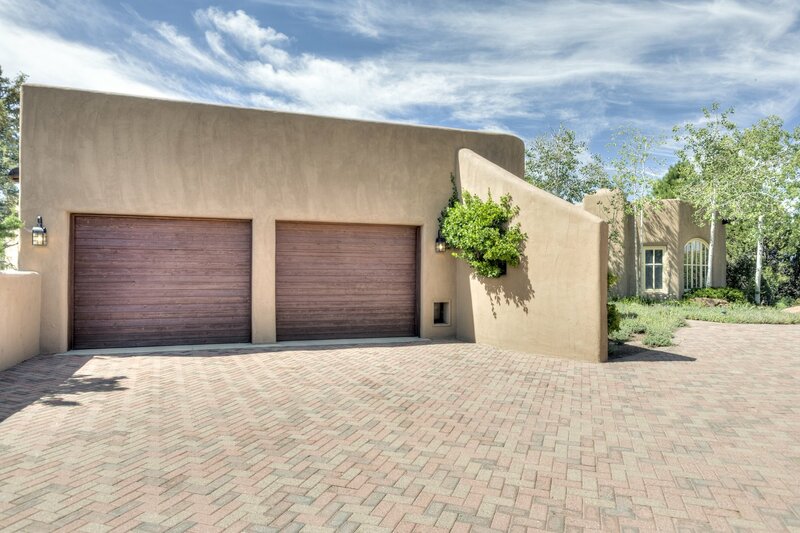 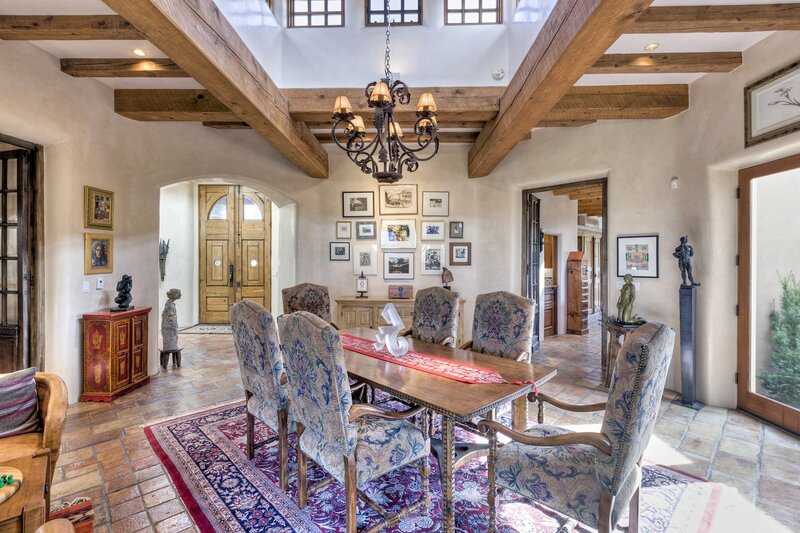 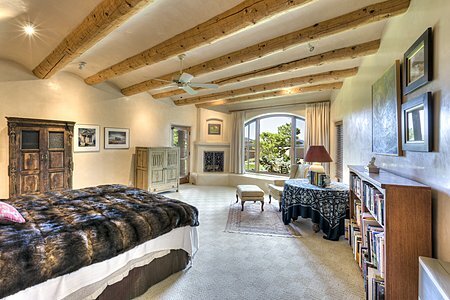 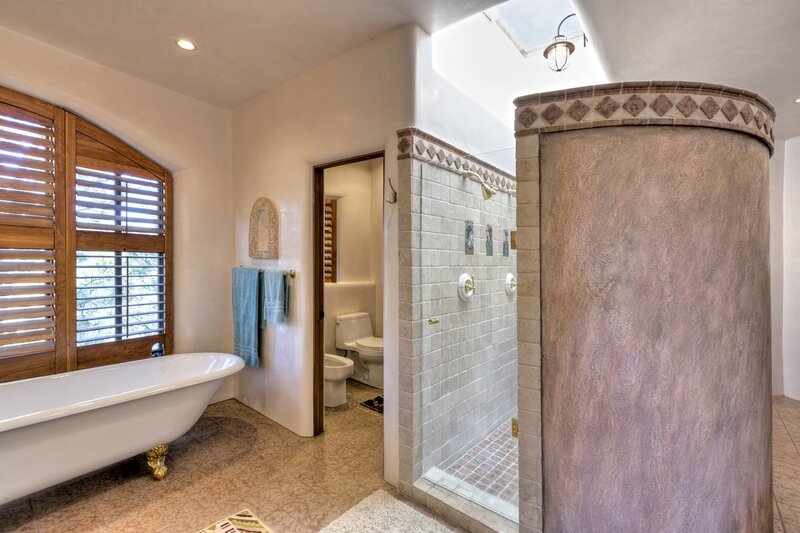 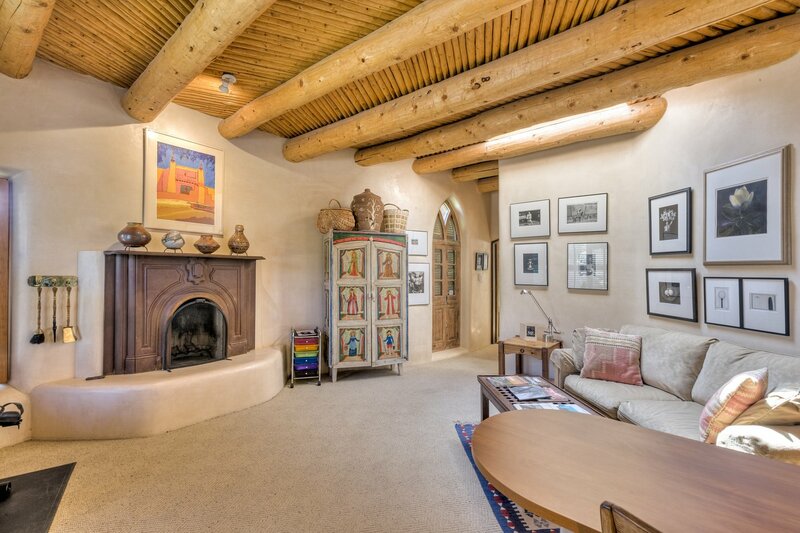 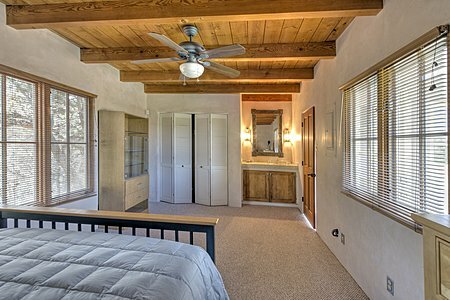 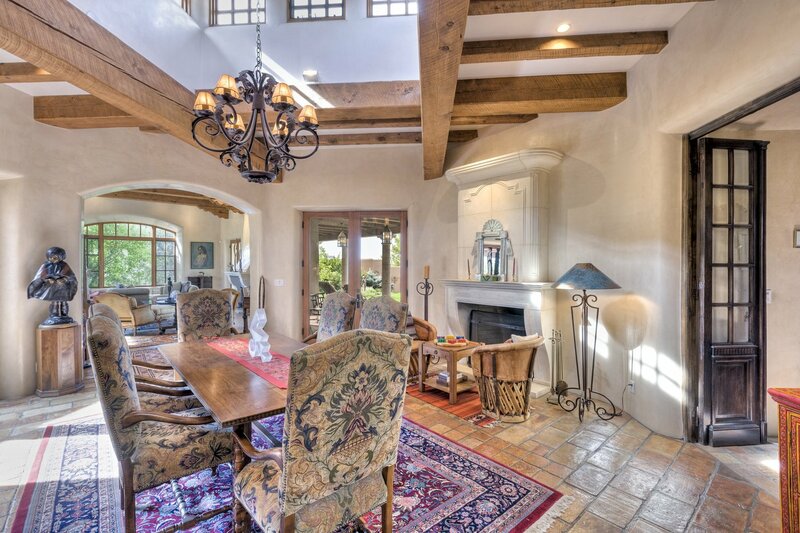 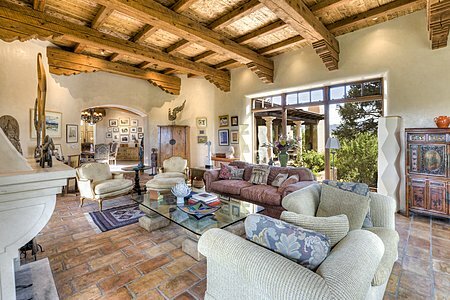 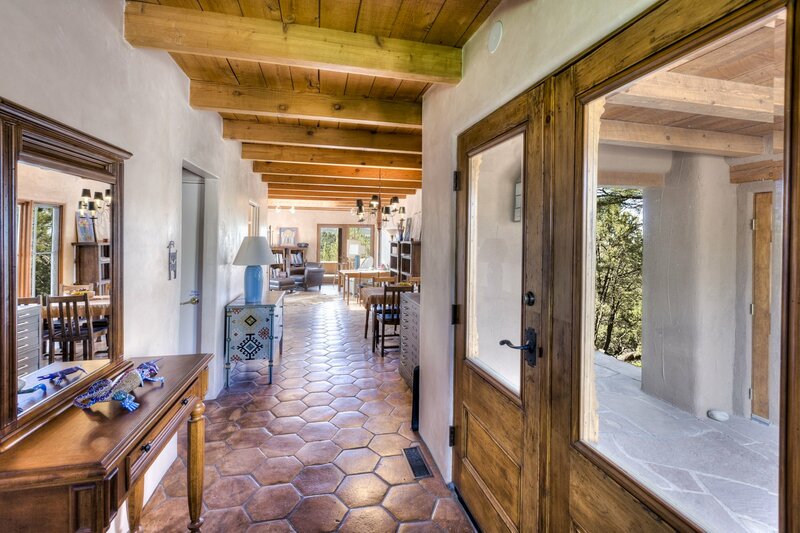 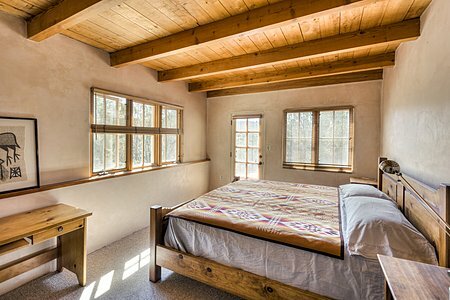 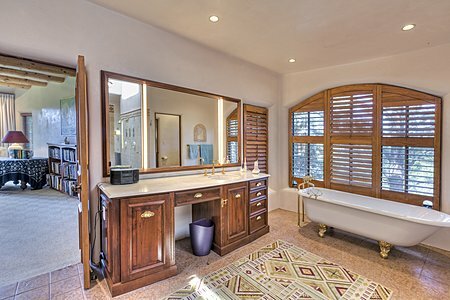 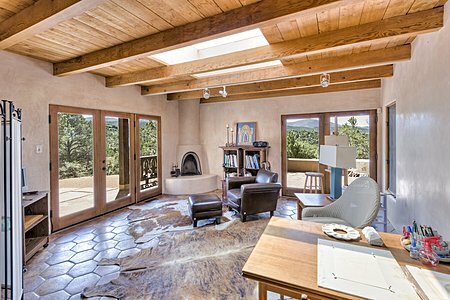 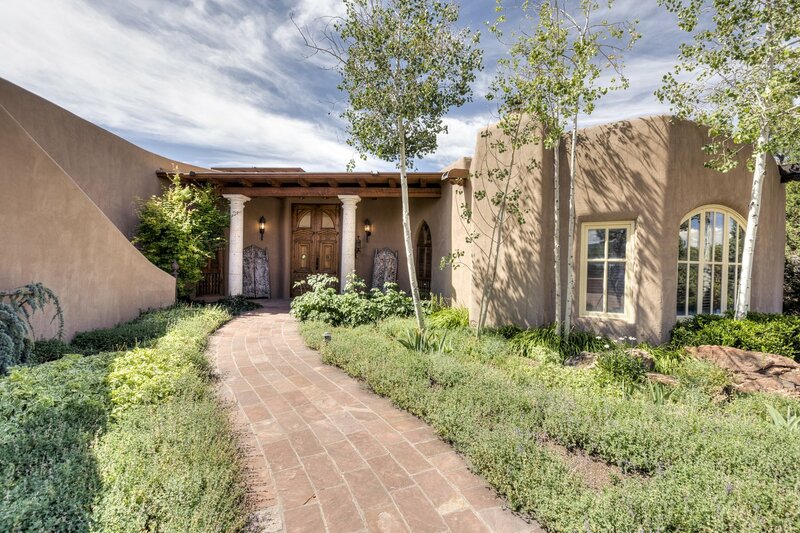 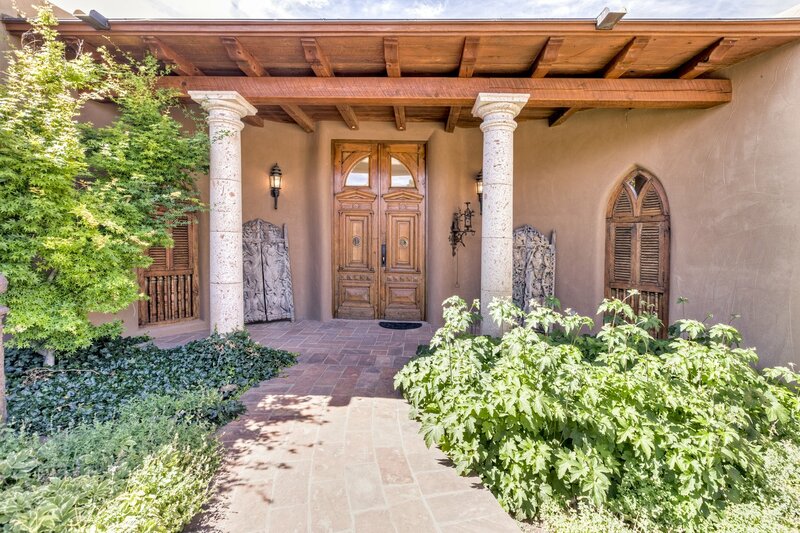 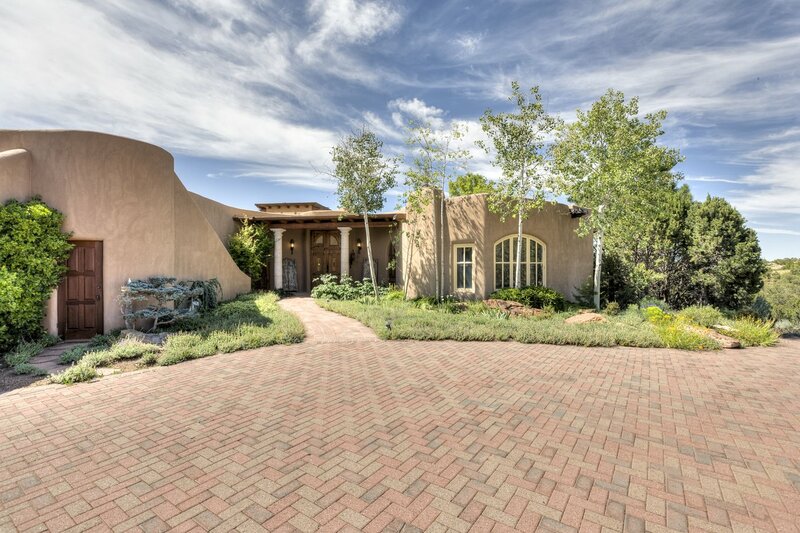 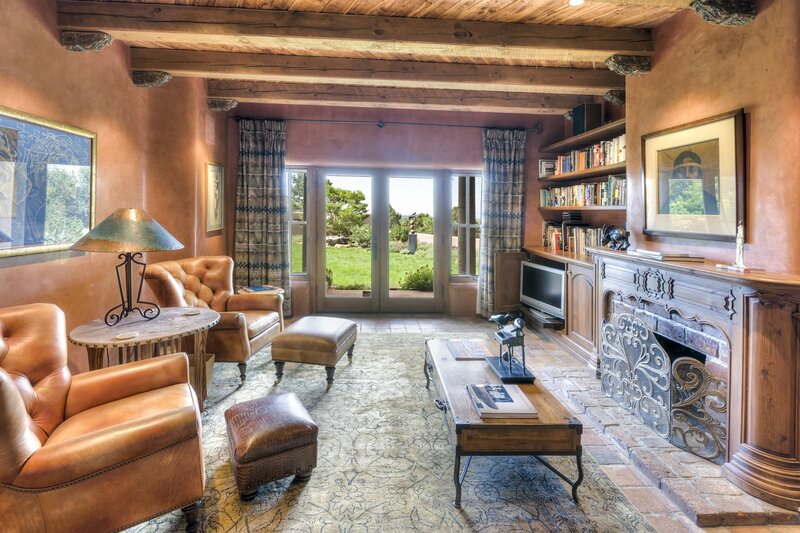 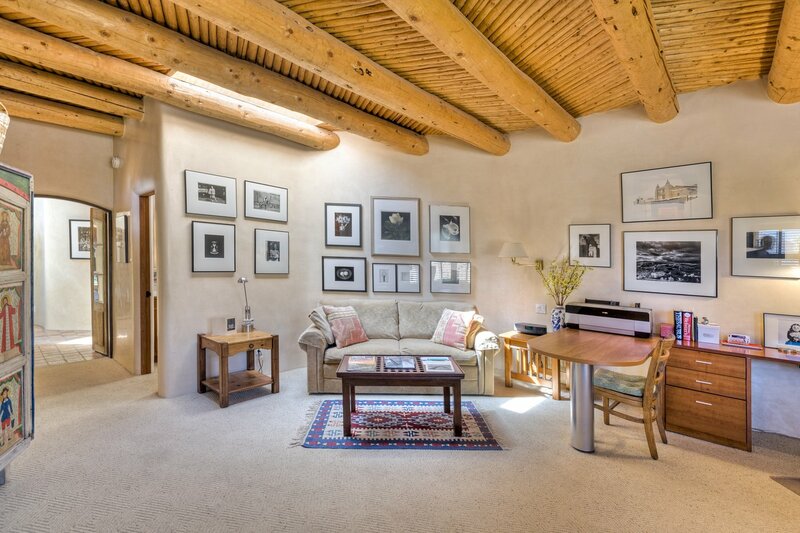 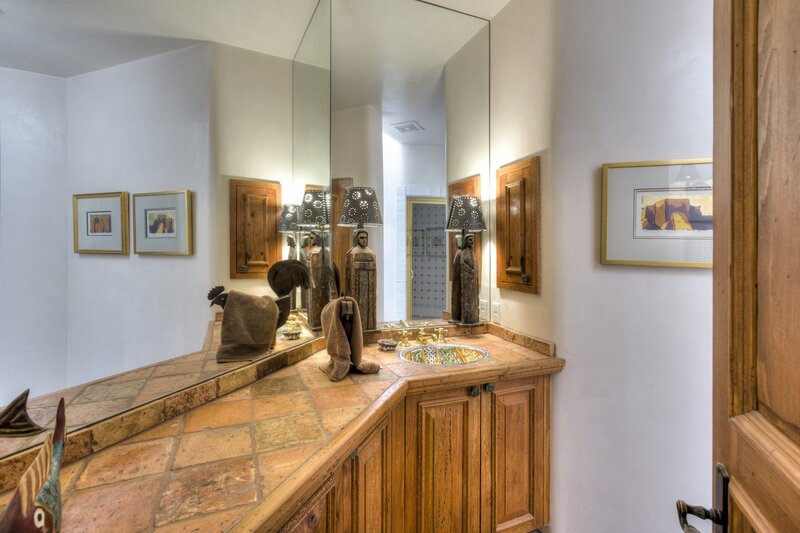 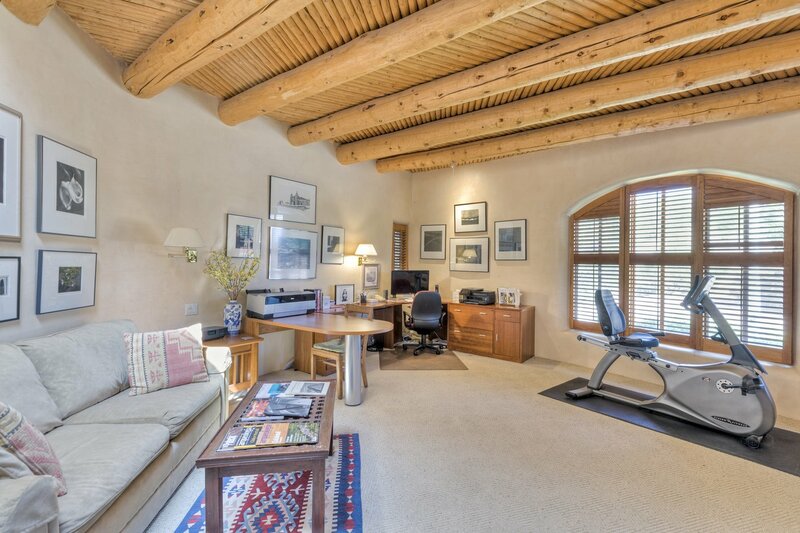 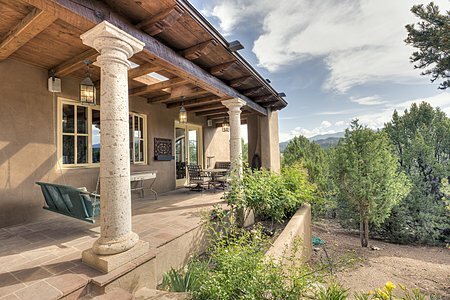 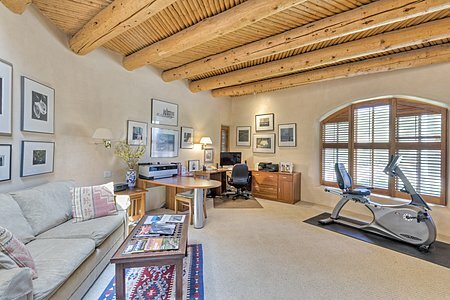 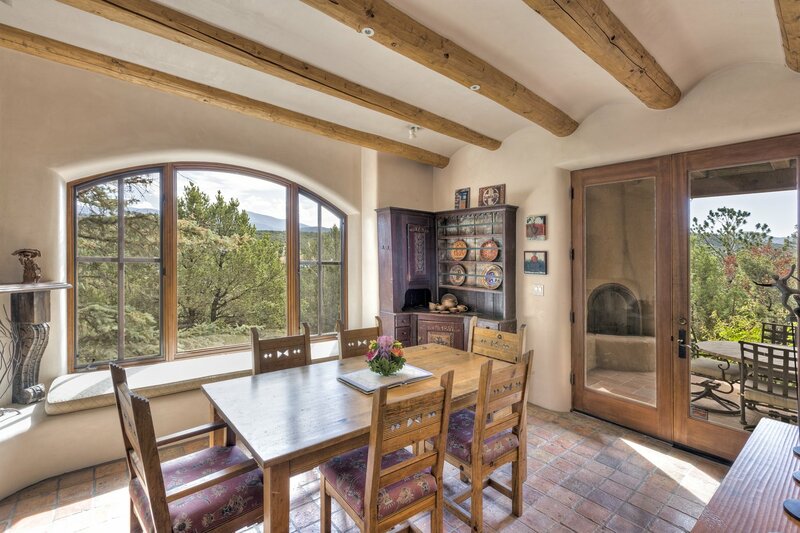 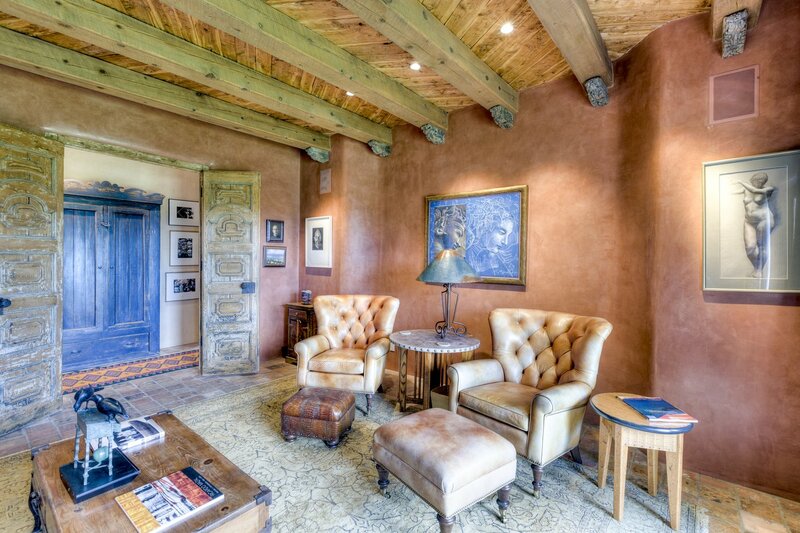 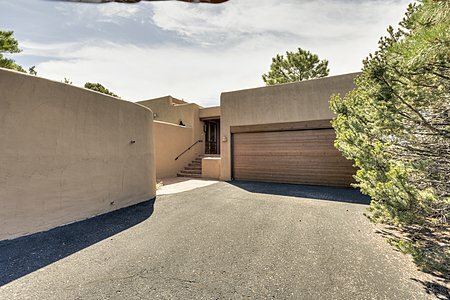 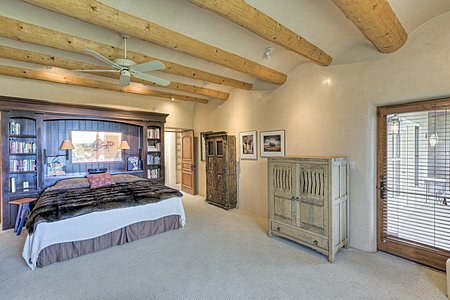 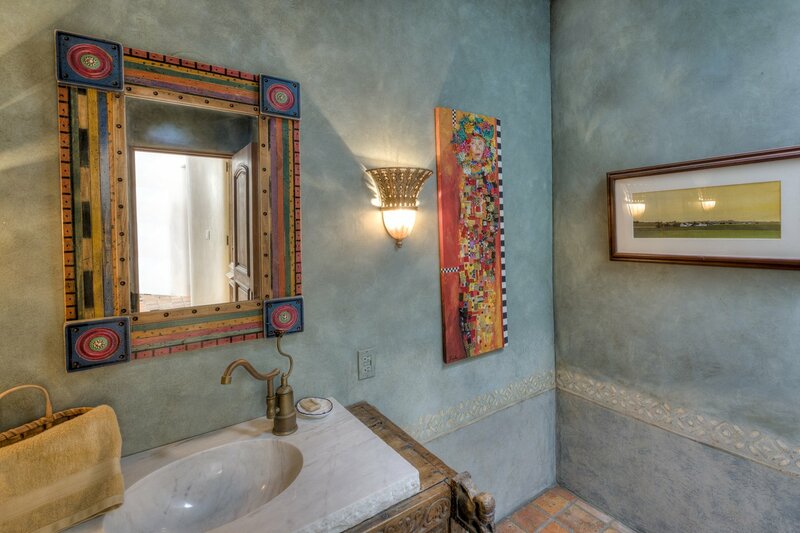 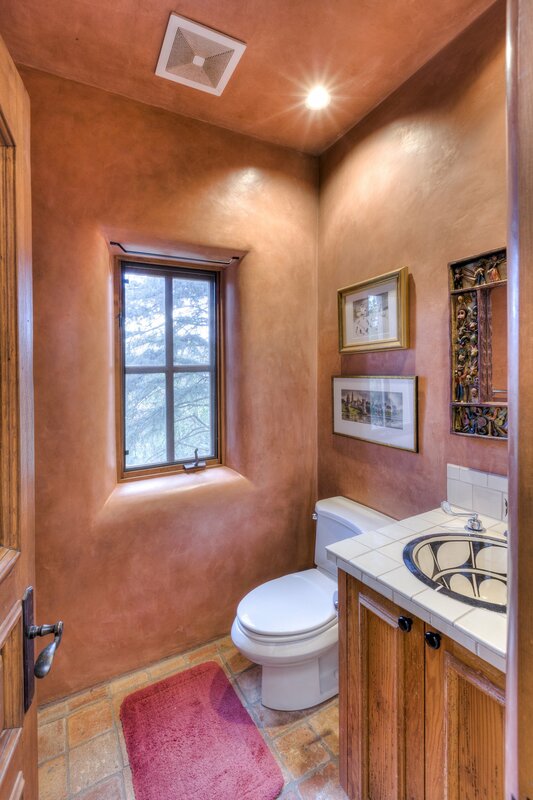 Designed by Jim Satzinger for renowned sculptor Glenna Goodacre, this two-bedroom, five-bath Santa Fe retreat showcases impressive attention to detail as well as an array of unique architectural antiques and exquisite, thoughtfully chosen finishes. 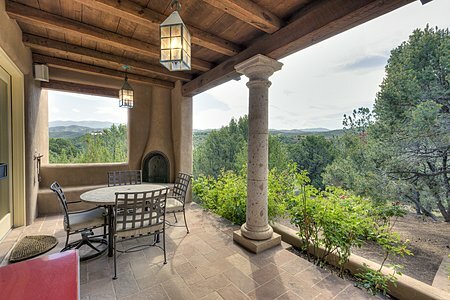 Highlights of the sophisticated but very livable 4,254-square-foot home include elegant formal living and dining spaces; two comfortable bedroom suites, one of which functions nicely as an expansive home office; a well-outfitted country kitchen with its own portal and a butler's pantry; and a handsome study or library. A lengthy portal looks over a swath of lawn toward the mountains to the south. 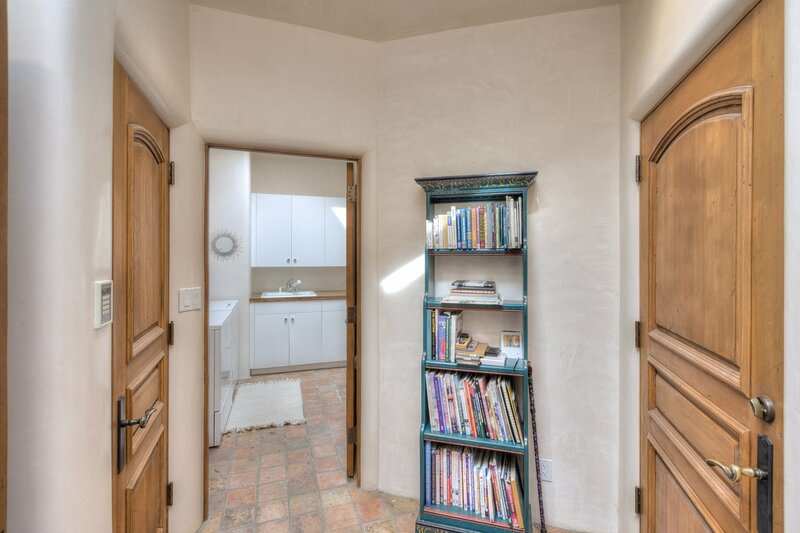 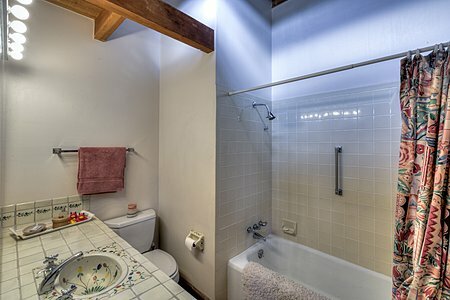 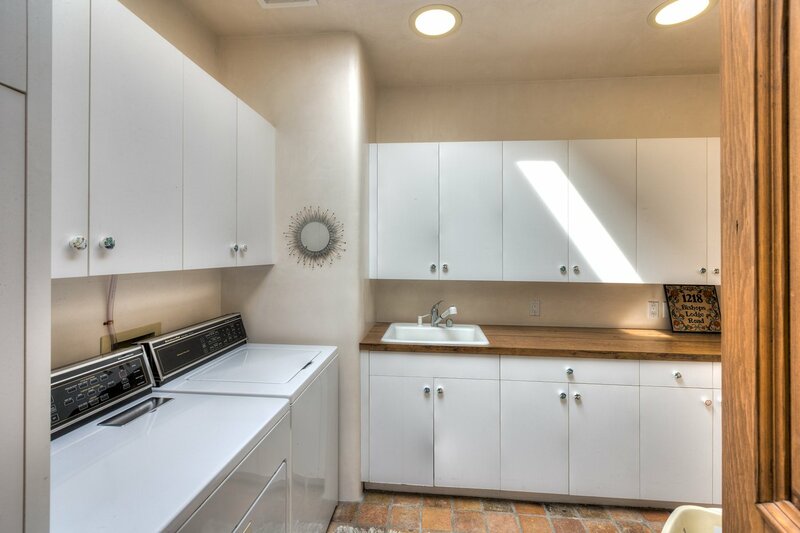 Steps away but utterly private is a delightful two-bedroom, two-bath, 1,303-square-foot guesthouse that includes its own patio and portal, a living and dining area with a fireplace, a charming kitchen, and its own garage. 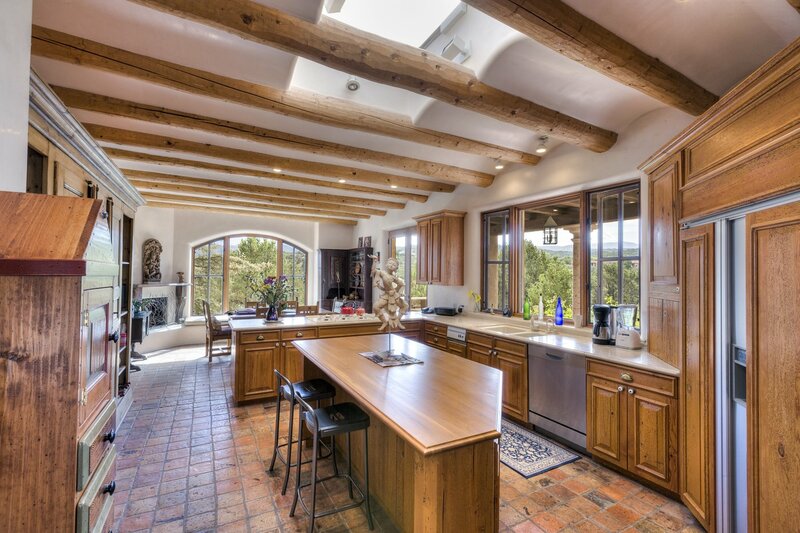 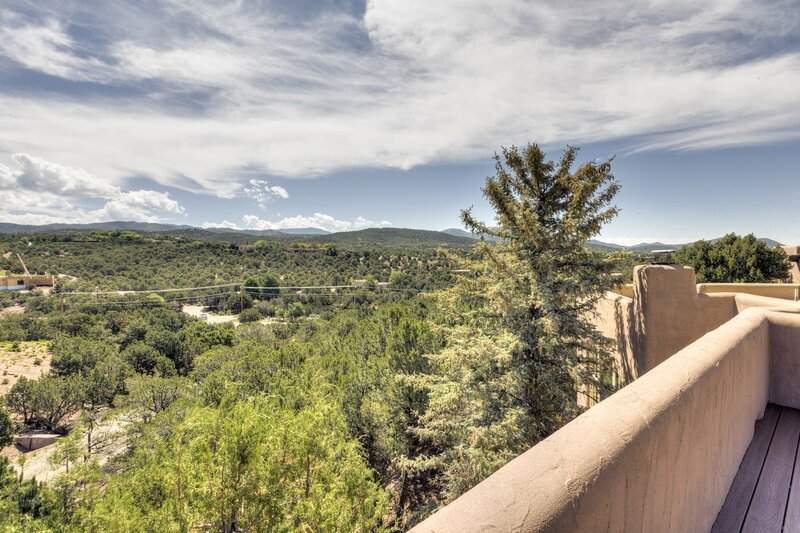 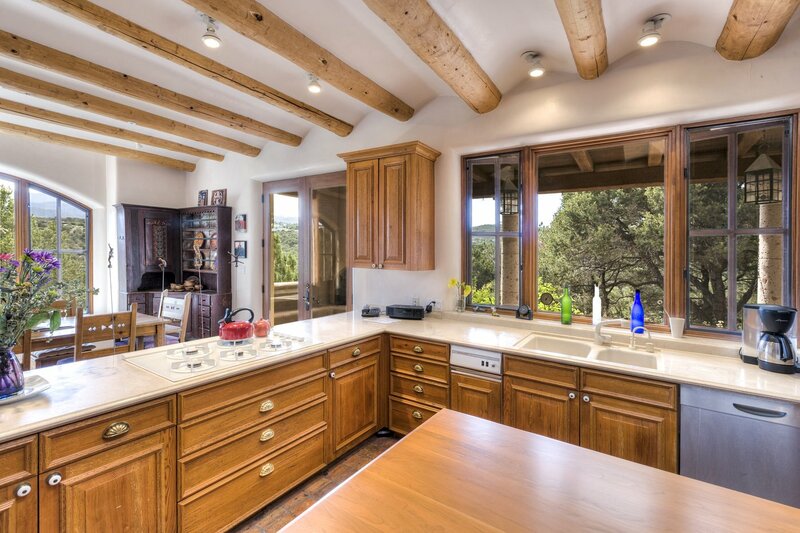 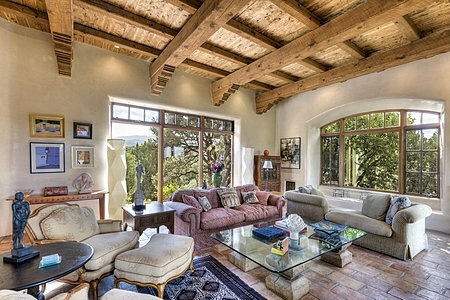 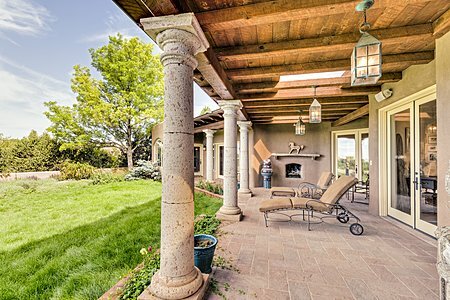 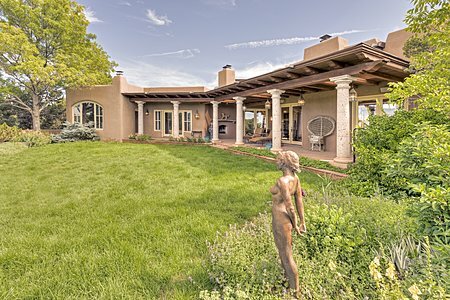 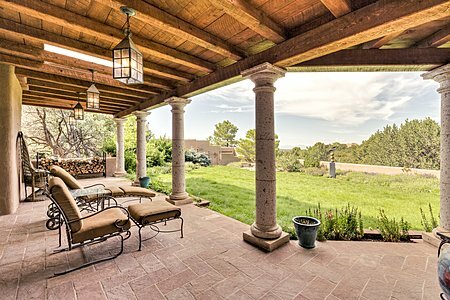 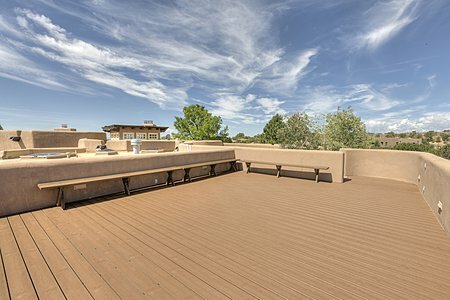 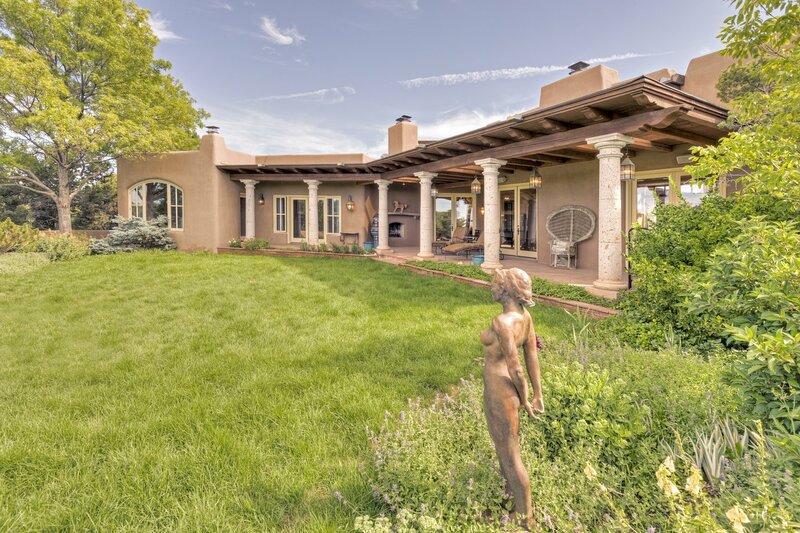 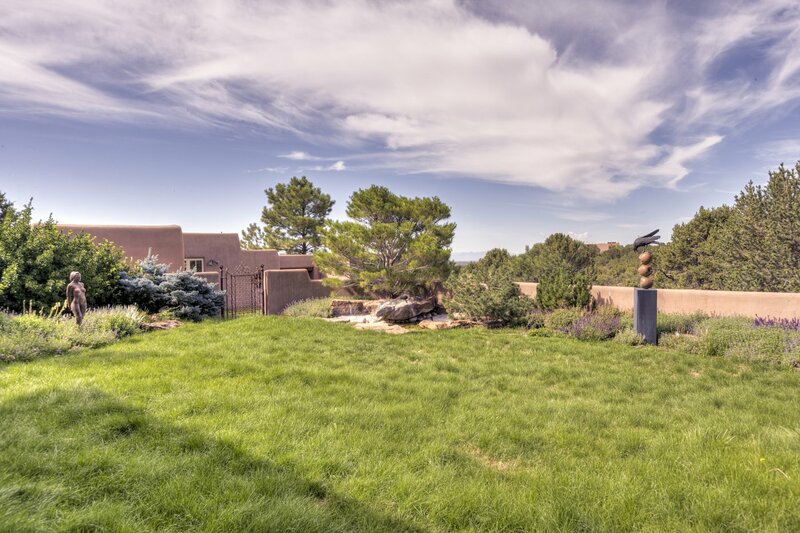 Nestled on a hill off Bishop's Lodge Road, the 3.048-acre property benefits from some of the most stunning views in Santa Fe -- of grass, trees, blue sky, sunsets, city lights, and mountain ranges. 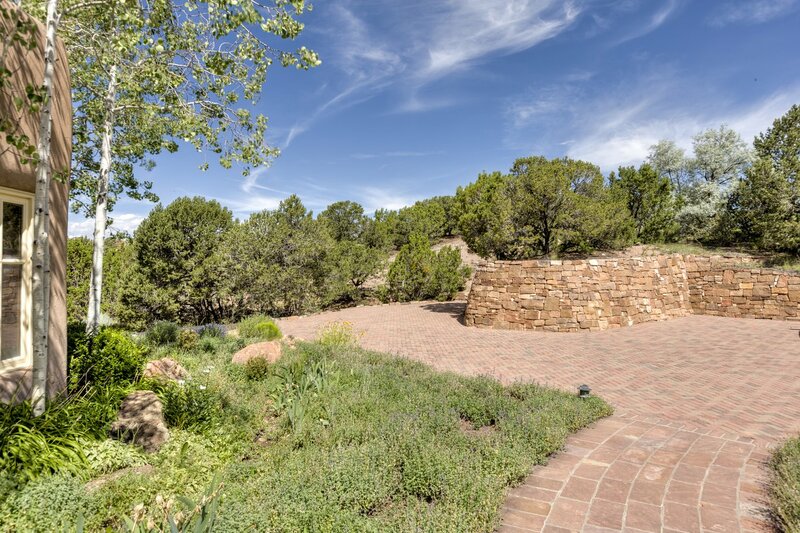 A lengthy paved drive winds uphill from the gated entrance to both the main home and the guesthouse. 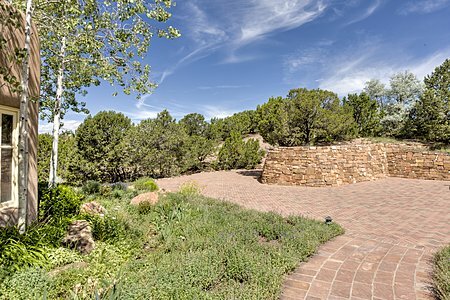 Behind the residence is a lush lawn ringed by landscape beds, and roses, pathways, stacked-stone and mature trees can be found here as well. 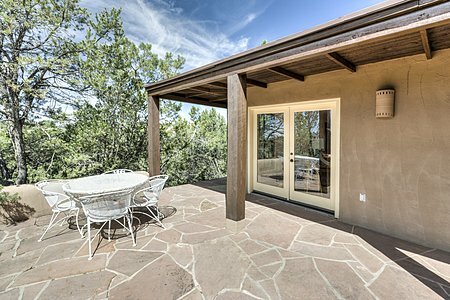 Multiple portales allow for enjoyment of the outdoors almost year-round.